So how do you quickly scope out a project and write a Project SCope Statement which will ensure that Change Requests are a rare occurrence on the project? Well the good news is that experienced project managers don't just mutter a spell and voila the detailed Project Scope Statement is there in front of them. Instead in most cases they simply use their intuition and previous experience to find out the information they require. What is the Business rationale behind this project which means it must be delivered? How committed are you to seeing this project deliver? What do you expect this project to deliver? What do you see as being the key deliverables? How many of these deliverables are "nice to haves" and could be de-scoped? Do all these deliverables need to be delivered to the same launch date, or can they be phased in over a period of time? What to you would constitute a successfully delivered project? What timeframe are you expecting this to be delivered? Do you have a ballpark figure budget wise you would be looking to spend to get this project delivered? The reason for asking these initial questions is to ensure that this is a serious project which has a good chance of being initiated and progressed with. You would not believe how many projects are scoped only to be ditched once budget, timeframes and organisational priorities are taken into account. How many pages of content are you expecting ie 5 or 5 million? How often will new content be created? Will the pages be static HTML or will they be required to be interactive and use technologies such as Java, Flash or XML? How will these pages be maintained and updated? What products will the shop be selling? How many products will be sold? which ecommerce system will be used? THe Organisation's or an external 3rd party supplier? How will these products be delivered to the customer? How will returns be dealt with? How many forums will you need? Will users have to register before they can post comments? How many users will you be expecting to register and use these forums? Will these forums need to be moderated? Are you anticipating us to utilise a 3rd party software package to deliver the forum, or are you expecting it to be developed from scratch internally? After this it should be a quick job to walk your Sponsor through what you think is both In and Out of Scope. 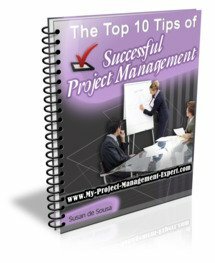 Once they are happy write up the Project Scope Statement Section in the Project Initiation Document and you are well on the way to delivering a successful project! Ensure the high level scope documented in the Project Initiation document (PID) is clear. Insist on proper Business Stakeholder involvement from day 1 in defining requirements. They will kick up a real fuss when they realise they will have to commit serious time and effort but you need to be persistent. After all if theyre involved it makes it harder for them at a later stage to say the Requirements were wrong or they had no involvement in defining them. After every meeting with a Business Stakeholder be careful to document what your understanding was and email to them for their agreement. This will save problems later on when Stakeholders invariably forget what they agreed to!